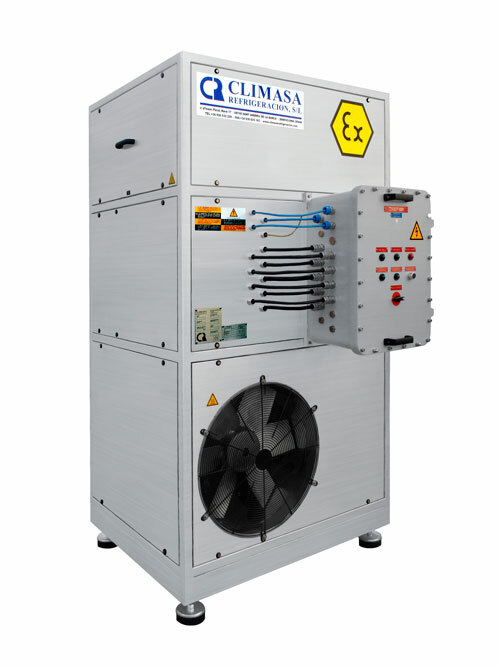 HVAC air handling units provide air renovation, air pressurization and air control temperature. They are strong and suitable for explosion proof areas and industrial environments. 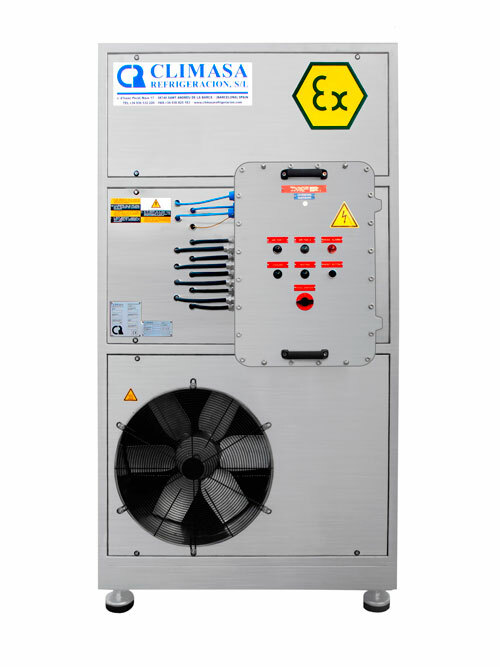 Available powers from 3,8 KW to 73,6 KW. Vertical structure connected by flexible air ducts. Double fan to ensure the air pressurization. Automatic start for the standby fan. ATEX certified filters, easy extraction and cleaning. Air renovations/pressurization and thermal loads calculations. High pressure fan with direct drive. Chemical filter and prefilter included. Air dampers with Ex electric actuator. Air dampers with Ex pneumatic actuator. “Low air flow rate (%)” output signal. Two fans guarantee continuous air renovation/pressurization, it is possible to do maintaining one of them while the other is in service. 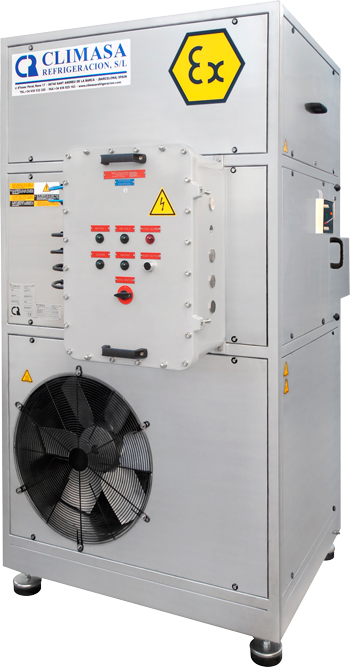 The new HVAC units have very balanced components, vibration absorbers and noise reducers. All of this joint with his strong structure do that the noise level is reduced. The CLB series is fully accessible thanks to his structure with covers, his design is thinking to facilitate the maintenance and repair.